Brooding Hero, Colonial Australia, Forbidden Love, Good Read, Grand Central Publishing, Historical, Toe Curler!! I have been thinking about changing the format of my book reviews for quite sometime. So I think I will give it a go with this review. Storyline: This story takes place in Australia in the 1800’s, a time when convicts from Europe were shipped to Australia and made to work as slaves in the country. Dominic Gallagher is brought to Australia on such a ship to be sold to Sarah Markham’s father to work on his lands as a slave. The first meet: Sarah and Dominic first meet on board the ship on which Dominic is brought to Australia. Sarah happens to walk onto the ship to fetch her father since her stepsister Liza was feeling poorly to hasten the journey back home and comes across Dominic been whipped within an inch of his life. Sarah puts a stop to this and pleads her father to buy him back onto their lands. Time period: The time period in which the story takes place is such that convicts were treated as lepers and no association with them apart from them being put to work was to take place. Due to the various ill treatments that these convicts suffer with different owners an uprising from the convicts take place during the time period of the story. One such convict who is on the run nearly manages to have his way with Sarah and its Dominic who rescues her from her fate, which makes them even in Dominic’s opinion. Awareness between the two characters: Ms. Robards has done a splendid job in creating great vibes of attraction between the two. Dominic doesn’t understand why he is so attracted to bossy and prim Sarah who looks most of the time like a lad with her no nonsense looks and posture. And Sarah doesn’t understand why she suddenly feels the urge to look beautiful, wear pretty clothes and be in the vicinity of Dominic. The turning point: The tremendous attraction between Sarah and Dominic comes to a conclusion on the night of Liza’s coming out party. Sarah gives her body and soul to Dominic that night. However as soon as the deed was done, the shame of having been with a convict returns with full force and Sarah rejects Dominic to the point that the air is fraught with tension whenever these two meet after wards. Then Dominic goes missing and Sarah thinks that he ran away but what actually happens make Dominic thinks that Sarah betrayed him. How the relationship grows: Dominic kidnaps Sarah and it is during their journey in the hot wilderness that these two actually learn to love and trust one another, though none of it comes easy to either of them. Ending: A happily ever after with an epilogue that shows life between Dominic and Sarah with a few good twists in the end. Loved the epilogue as I usually do. Likes: The storyline is a bit different from your usual historical romances such that the hero doesn’t always have the upper hand by being filthy rich and being able to do whatever he pleases with his wealth and status. Dislikes: None really. At the beginning I got a bit peeved at Sarah because she turns hot and cold with Dominic, but then thinking about the situation and the time period and how everything turns out in the end, it wasn’t much of a problem. 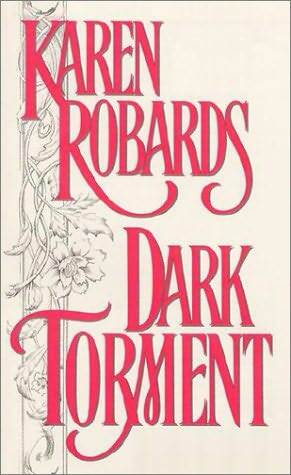 Recommended for: Readers who love Ms. Robard’s novels as well as those who love a good historical.